Popular city author announces his 28th book. Mike Covell, The Haunted Homes of Hull. 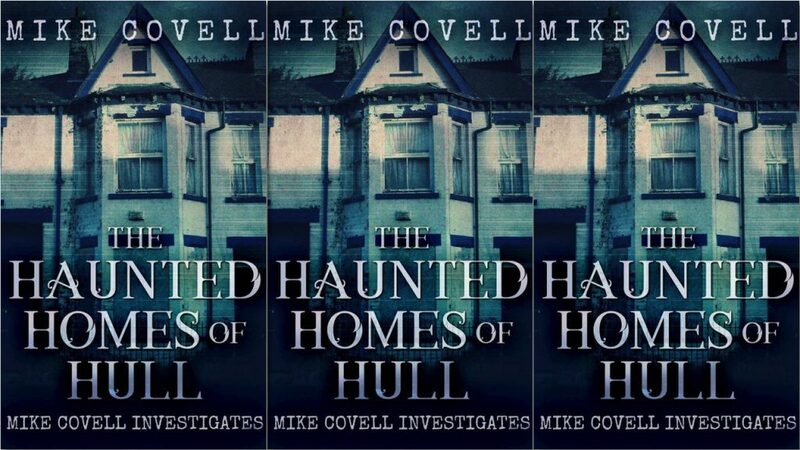 Local historian and author, Mike Covell, has just published book 28, which is book 12 in his new series “Mike Covell Investigates.” The book, entitled ‘Mike Covell Investigates the Haunted Homes of Hull’ is packed full of historical case studies regarding haunted houses across the city, with the earliest case-study dating back to 1852. Speaking from his home in East Hull Mike said “It’s a labour of love, but it has been well worth it. I began researching stuff like this when I was a kid, but over the years it became a hobby and today is a full time job, and I love writing about the cases I research. Since 2007 Mike underwent two heart operations and eventually got the all clear, turning his passion into a full-time job and launching Amazing Hull Tours in 2013, it became Hull’s only audio/visual/digital walking tour and attracted international clients from around the world. Mike didn’t stop there, however, and launched a lecturing arm, a teaching arm, and a publishing arm, all of which have seen success and continue to do so. Mike, who is no stranger to writing, has been working as a professional freelance writer since 2015 when his work was seen by local and national media companies, landing him contracts with local and national media companies, a stint with the Hull Daily Mail, and monthly articles in numerous magazines. He doesn’t stop there though, his monthly lecture series, “History and Mystery” at Kardomah94 has attracted a devoted following of fellow history lovers, and more and more local businesses are getting in on the act including Hothams, Hull’s gin school in Hepworth Arcade, where Mike will appear in December for a night of Christmas Ghost Stories…..and gin! Keen to continue, Mike has already planned, researched and partially written the next books in the series, and last week completed the latest 4 books, which is no mean feat when you consider each book is between 150 – 300 pages long, fully referenced, and packed with information, contemporary press reports, genealogical data, and much more to help give a more balanced view of the cases within. Mike, who has previously appeared on such television shows as Most Haunted, Most Haunted Live, Paranormal Lockdown, and Ouija Dicing with Death, wanted to present a balanced view of each case. Be the first to comment on "Popular city author announces his 28th book."